Pie has officially become one of the most traditional American desserts, even earning the phrase, “as American as apple pie.” Apple pie in particular has come to be known as an “all-American dessert.” You may be surprised to find out, then, that apple pie wasn’t invented in America—and the apples you make it with aren’t native to America, either! Historians believe that apple pie was first brought to the colonies by British, Dutch and Swedish immigrants during the 17th and 18th centuries. The only native apples in the New World were crab apples, which are small and sour (not good for pies). The Europeans brought over their own apple varieties across the Atlantic. By the 20th century, the dessert’s popularity soared and remains a national favorite today. According to a nationwide poll, America’s favorite pie by 47 percent is apple, just ahead of pumpkin. Other popular flavors include strawberry, blueberry, cherry, peach, lemon meringue and rhubarb. 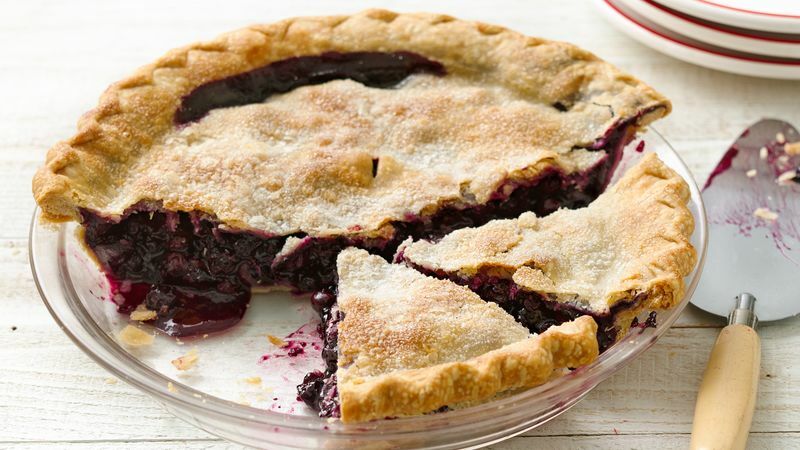 With many different types of fruit pies to choose from, why pick just one? These recipes are as easy as, well, pie.